« Christmas Is Coming and Sally’s Getting Fat! These little chaps have been literally flying off the craft table this year. I’ve made and sold 52 in the last couple of months! Thanks to my dear work mates they are now in various locations far and wide and I am told that one will be on it’s way to Denmark too (I didn’t know Robins migrated!). This morning one of my colleagues brought a Christmas craft book in to the office to show me a lovely little hanging reindeer that I could work on for the next festive season – the antlers looked a bit fiddly but I will have a go. 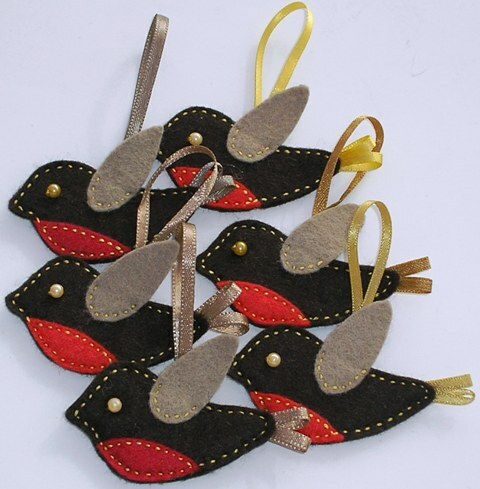 If they have the potential to be as successful as my robins, I will need to start making them during the summer!